Firmoja.fi is a new type of company search, which combines the basic information of companies with different open data sources. 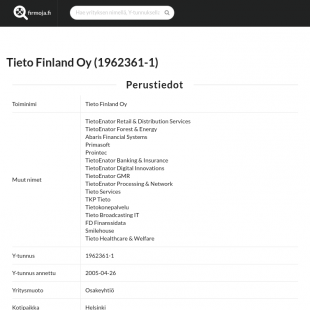 The service has information about a company's Finnish domain names, taxation, and public sector procurements from the company in question. 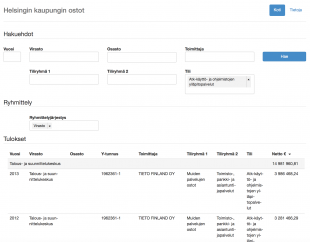 Browser app that fetches procurement data from the cities of Helsinki, Espoo, and Vantaa beginning from the year 2012. Search parameters are visible and are read from the URL so that it is possible to link specific searches. Searches can also be shared via Twitter. 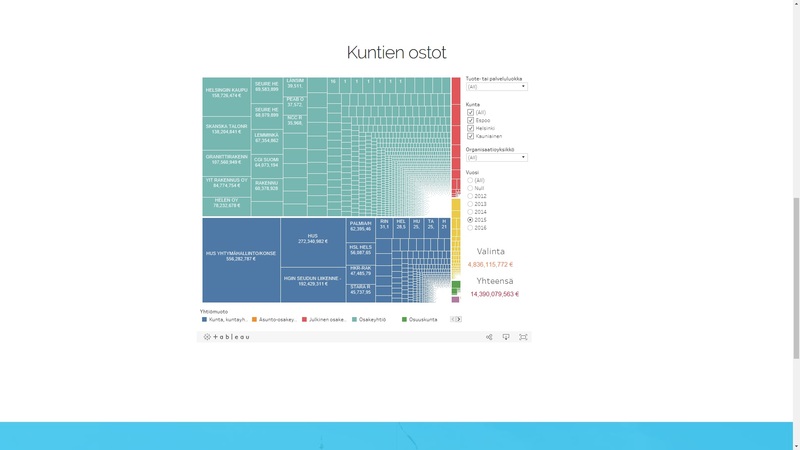 This visualization is a dashboard of the procurements of the cities of Helsinki, Espoo, and Kauniainen. 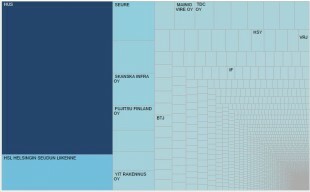 This visualization displays the City of Espoo procurements from the year 2012. From the information, displayed are the amount in Euros (€) and vendor.